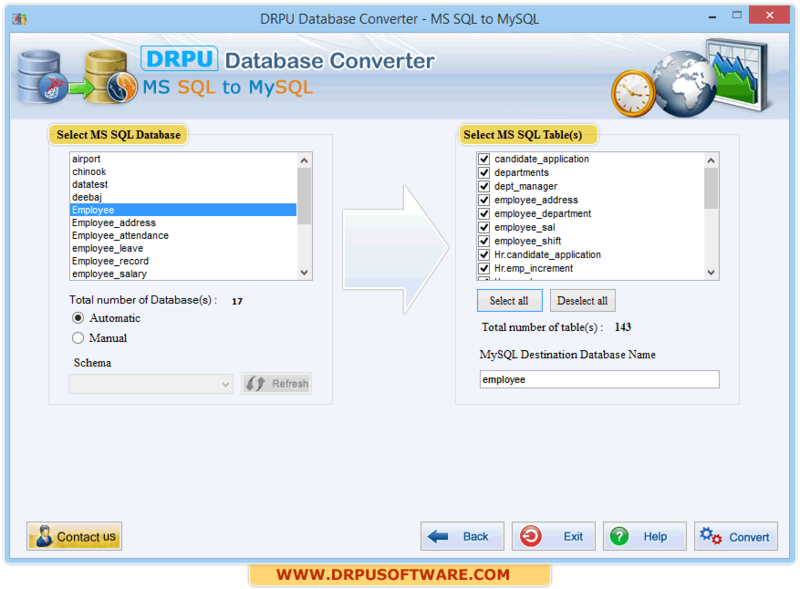 Provide option to convert stored procedures. 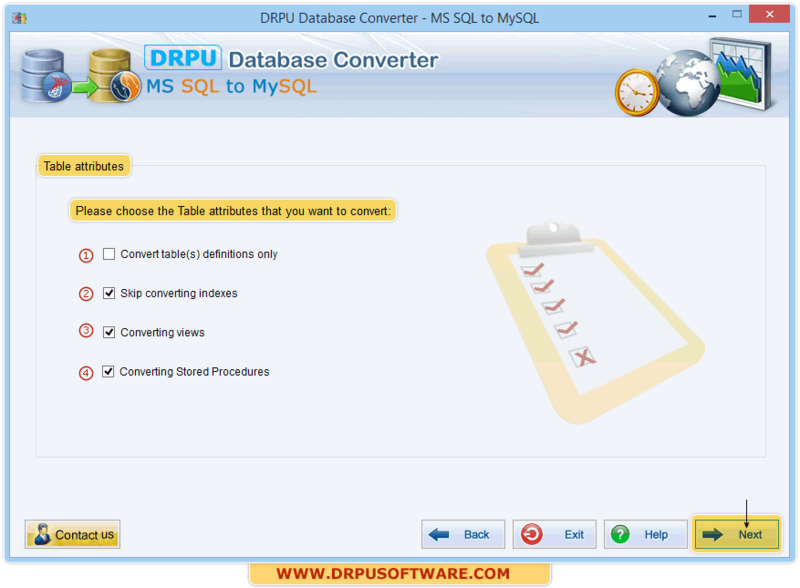 Here, Left panel shows MS SQL database list with option to select the required MS SQL database to convert in to MySQL automatically. 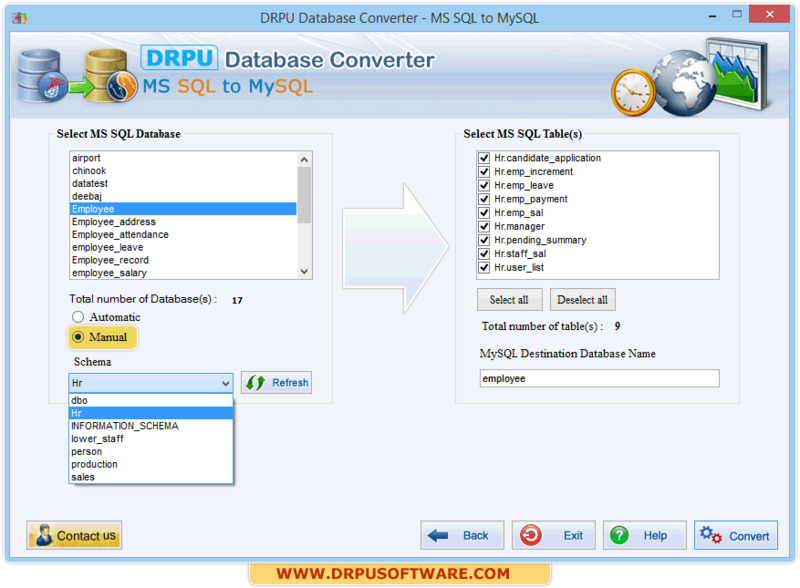 Right Panel shows the MS SQL Table(s) list of the selected MS SQL Database. Choose 'Manual' option , If you want to convert your MS SQL database by selecting schema items manually. 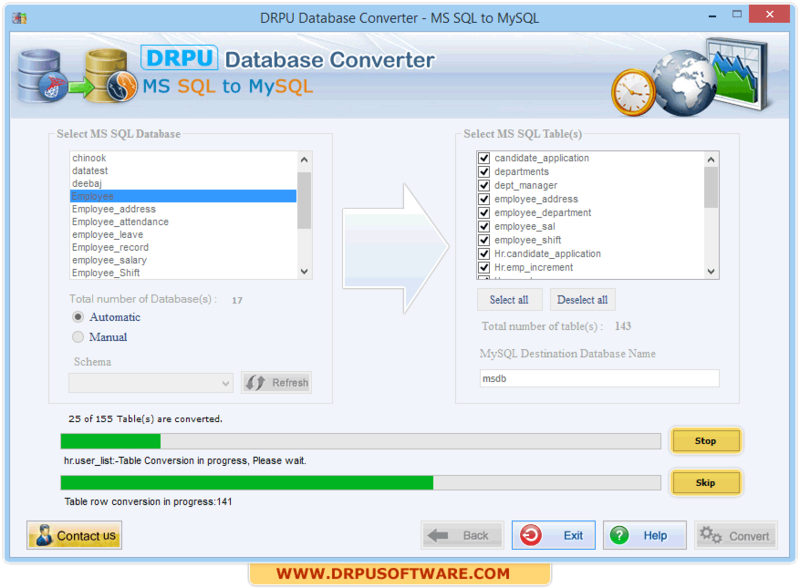 Select MS SQL tables and click convert button. Select 'Views' from list which you want to convert. 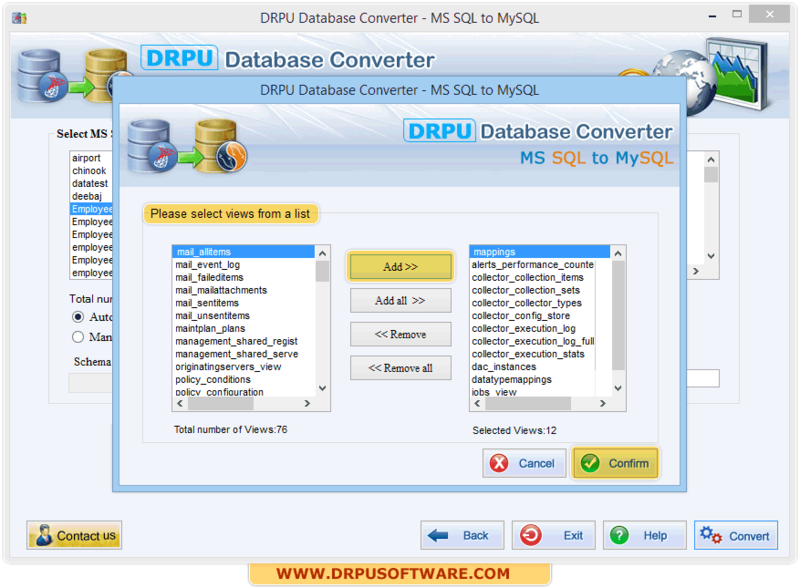 After selecting views from the database, Click the ‘Confirm’ button and then conversion process begins. 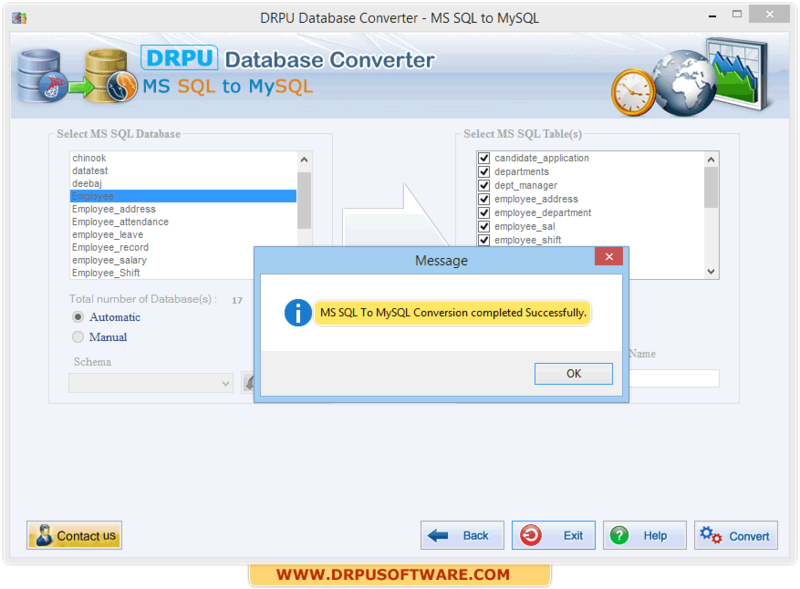 After completing conversion process, above window as shown in screenshot "MS SQL to MySQL Conversion completed successfully" will be displayed.